Have you ever heard of spirulina and its potency to treat various illnesses? If you have health issues related to your nervous system, heart, or metabolism, chances are, you might have already heard about this dietary supplement and even considered taking it. Spirulina does not cure diseases but it is widely known for its capability to help prevent or improve the health condition of people with high cholesterol level, high blood sugar level, and allergic rhinitis, among others. This resulted in the emergence of several spirulina dietary supplements. But which of these products can be considered the best spirulina supplement of all? Let’s take a look at six products and identify which stands out from the rest. 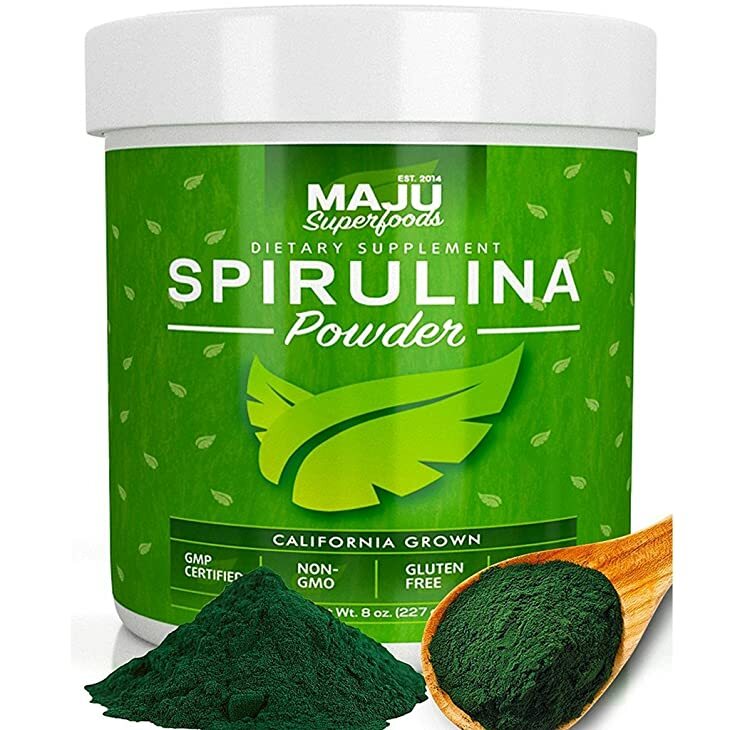 The Spirulina Powder dietary supplement from Maju Superfoods is grown in California and is said to be the first non-genetically modified organism (GMO) of its kind to be produced in the U.S. The Certified Organic Spirulina Nutrient Rich Superfood from NOW Foods is a vegetarian formula grown in Hawaii that contains chlorophyll, iron, and beta-carotene, among many other nutrients and vitamins. NOW Foods also offer Spirulina-Double Strength. ​The Spirulina Extra Strength Supplement from BRI Nutrition is particularly known as the only supplement in vegetarian capsules. 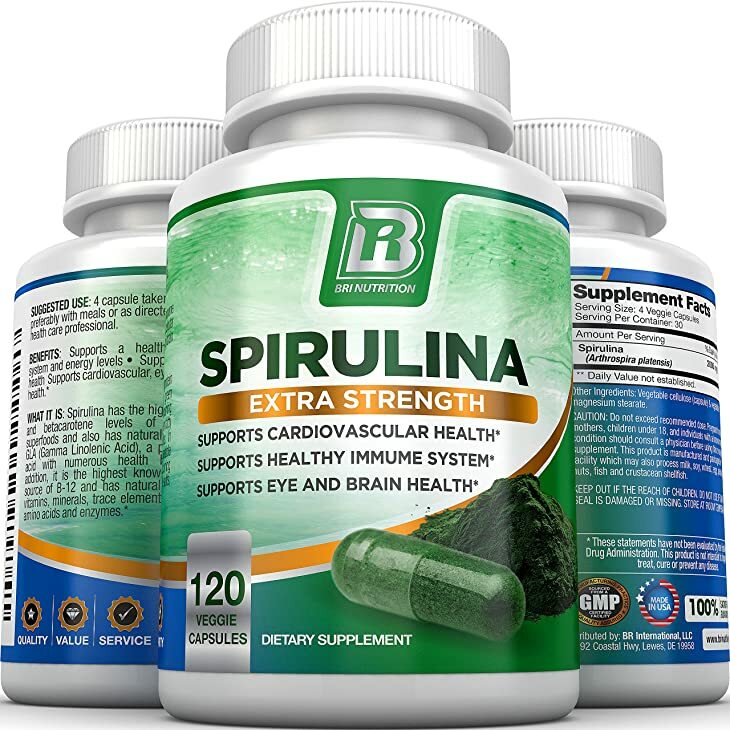 Its manufacturer exerted its efforts to address the common issue about spirulina’s nasty taste. 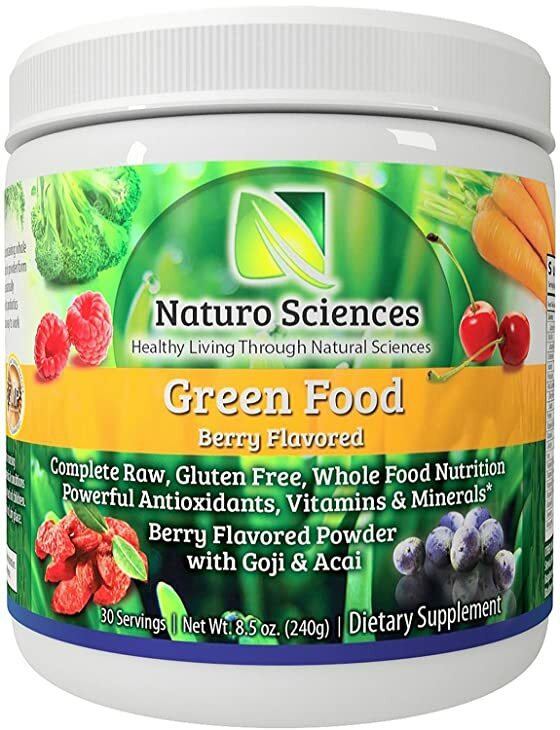 ​The Green Food Berry-Flavored dietary supplement from Naturo Sciences is a powdered supplement wherein spirulina is only one of its many ingredients. Recognized as a super-antioxidant, this product also contains chlorella, barley grass, and wheat grass, among others. ​The Pure Hawaiian Spirulina Pacifica product from Nutrex Hawaii is said to be the number one dietary supplement of its kind in Hawaii. Among its nutritional content are beta carotene, iron, and protein. ​The Spirulina Longevity Superfood from Zhou Nutrition is produced using a high-quality water and nutrient recycling process. The product comes in both powder and tablet forms. Grown in manmade tanks and hand-cultivated to ensure the elimination of impurities, this California-grown product contains all-natural spirulina. The farm where it is produced is free from airborne chemicals. It is in tablet form and its recommended dosage is approximately four to six tablets per day. Mothers might want to try this product because it blends well in smoothies, allowing their children to ingest it without any fuss. It might also be a good choice for gym enthusiasts as it can be taken as an alternative protein drink. If you have an allergy or any existing health problem, it is highly recommended that you consult your physician first before trying out this product due to possible allergic reactions or side effects. Since this product is manufactured with pure organic spirulina as its only ingredient, it earned certifications from Naturland Association and Quality Assurance International. Its recommended dosage to achieve noticeable results is at least one teaspoonful per day. This product might be a good choice for people who suffer from sleep disorders and minor memory lapses. There are also customers who claim that this product helps address hair loss and skin problems. However, there were few customers who claimed to be dissatisfied of the product as it allegedly caused them severe stomach pain, although majority of the users claimed otherwise. BRI Nutrition is the first manufacturer to release vegetarian capsules, which sets it apart from its competitors. It is manufactured with only the finest ingredients at its state-of-the-art facility. Its recommended dosage is four capsules which is equivalent to two grams of spirulina. The most common positive feedback given by its users is the big improvement that it provides in their energy level, making it an ideal product among business people, hands-on mothers, and everyone else who is always on the go. 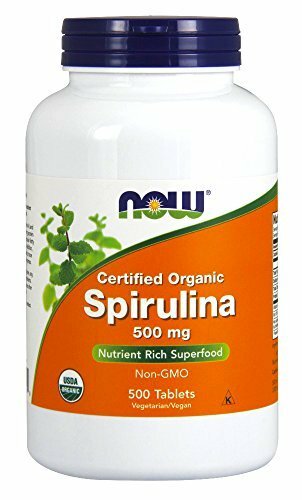 In spite of the efforts made by the manufacturer to address the issue about spirulina’s nasty taste, there are still a few customers who did not appreciate the vegetarian capsules. As mentioned earlier, spirulina is only one of the main ingredients of this product. It is made of organic ingredients and juice extracts packed with fiber, nutrients, and detoxifiers. Its recommended dosage is one scoop per eight ounces of water, smoothie, or juice, and must be taken at least three times a day. If you experience digestion problems or if you need a boost in your immune system, you might want to try this product. Also, if you are one of those who are not fond of eating green leafy vegetables, then this product is for you. By far, the only complaint received by Naturo Sciences about this product is its taste but majority of the users don’t seem to notice it. The key nutritional content of this product includes zeaxanthin, superoxide dismutase, vitamins K1 and K2, vitamin B12, beta carotene, and phytonutrients. It comes in powder and tablet form. Its recommended dosage is six 500mg or three 1000mg tablets per day. If you prefer it in powder form, mix one teaspoonful with water or juice. If you are particular about the taste, this product is recommended for you because its users have confirmed that it tastes way better than any other spirulina supplement that they have ever tried before. Since its launching, Nutrex Hawaii has so far received only one complaint wherein a user once claimed to have developed a liver problem after taking the product. However, it was not proven that such health problem was indeed caused by Pure Hawaiian Spirulina Pacifica. It improves brain, eye, and cardiovascular health, among others. 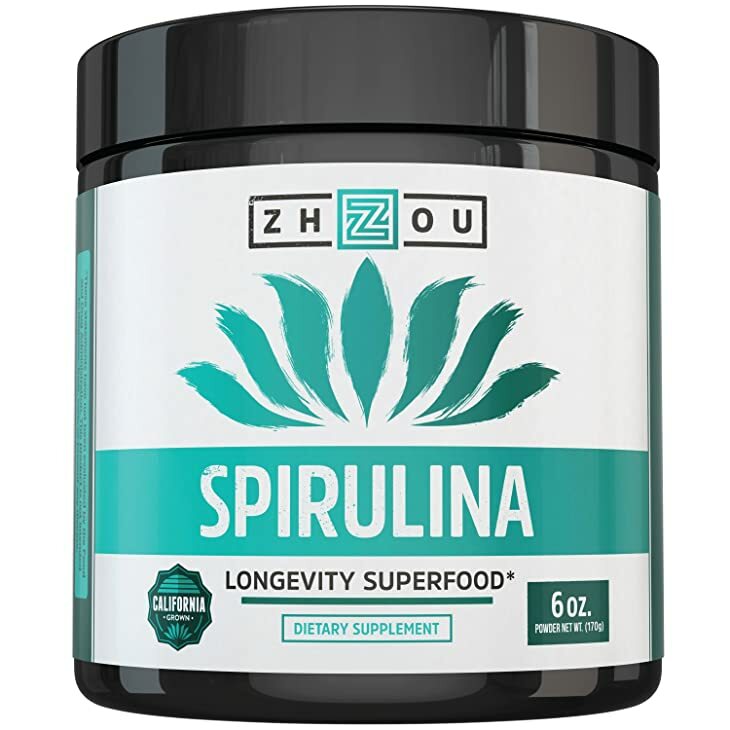 Zhou Nutrition claims that this product has the highest quality among all spirulina products as it is manufactured in a place far from the pollution caused by cities, airports, and highways. Since it is in powder form, you can mix one teaspoonful in your smoothie, juice, or even yogurt. If you have hypertension or high cholesterol level, this might be an effective dietary supplement for you. By far, Zhou Nutrition has received only one complaint about this product wherein a customer expressed his dissatisfaction about its taste. We would like to reiterate, though, that all of the above-mentioned products are not a cure but merely a supplement that may help prevent or improve medical conditions. Do not take this product if you have an existing medical condition. It is best to get the approval of your physician first. Make a conscious effort to thoroughly read the label and packaging. You wouldn’t want to experience any allergic reaction or side effect due to negligence. If you are hesitant but seriously considering taking the supplement, we encourage you to make your own research by asking around, reading about it, and surfing the net. If still in doubt, we suggest that you consult the person with utmost credibility – your physician. Apparently, the abundant health benefits found in all the above-mentioned supplements are the same. 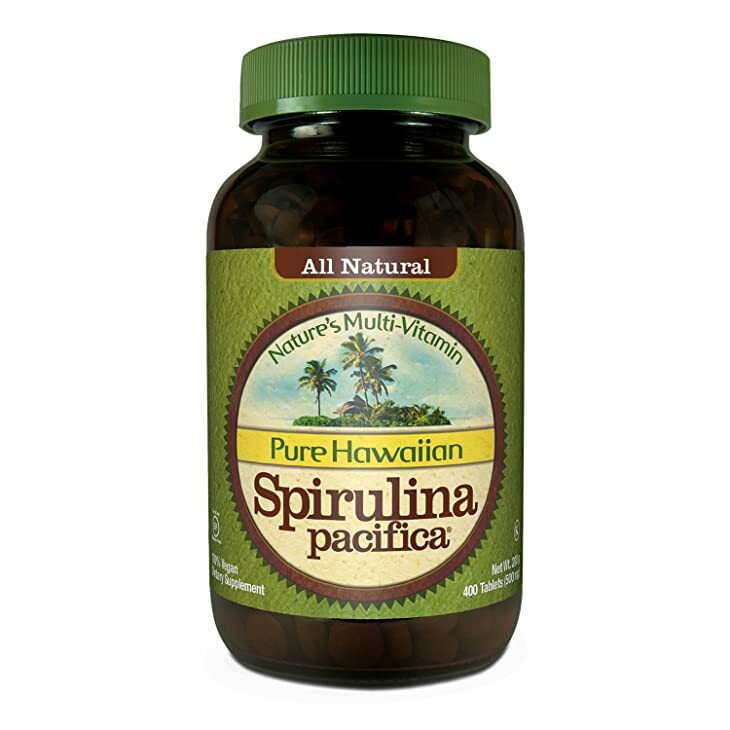 However, the best spirulina supplement for us is Pure Hawaiian Spirulina Pacifica from Nutrex Hawaii because among all the products reviewed, it is the only one that doesn’t have a negative feedback about its taste.